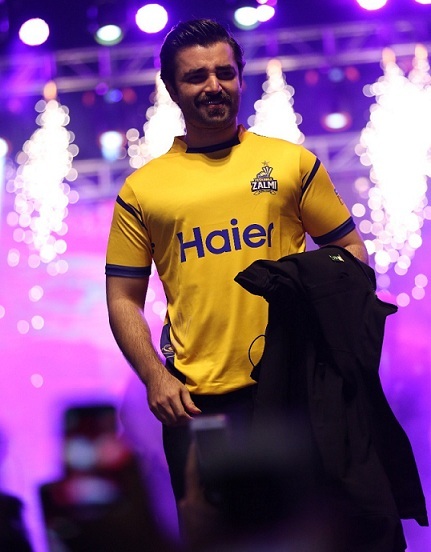 Defending Champions Peshawar Zalmi unveiled their new kit in a remarkable ceremony where Mahira Khan and Hamza Ali Abbasi were also nominated as Peshawar Zalmi’s Ambassadors for the third season of Pakistan Super league. Young cancer patients of Shaukat Khanum Hospital were specially invited to attend the Kit Launch event. The eye-catching Kit of Defending Champions Peshawar Zalmi was unveiled in grand style in Lahore last night at Haier, Lahore premises. The glamorous event was attended by Zalmi's players where the presence of Shaukat Khanum Cancer hospital's patients added more value to the event. At the kit unveiling ceremony, all Pakistan based Zalmi Stars were on stage with young patients of Shaukat Khanam Cancer Hospital. Peshawar Zalmi Chairman Mr.Javed Afridi, PCB Chairnam Najam Sethi, Former PCB Chairman Shehryar Khan also graced this ceremony. Javed Afridi, chairman of Peshawar Zalmi declared renowned actress and model Mahira Khan and Hamza Ali Abbasi as brand ambassadors of Peshawar Zalmi for the third edition of Pakistan Super League. Speaking at the ceremony, Mr. Afridi welcomed and thanked all the players and guests. He further added that Cricket and PSL always bring smiles on the faces of Pakistani nation. Mr. Afridi congratulated Pakistan Cricket Board Chairman Najam Sethi and all PSL franchises for their great support toward Pakistan cricket. PCB's Chairman Najam Sethi in his speech congratulated Peshawar Zalmi on Kit and Anthen Launch. 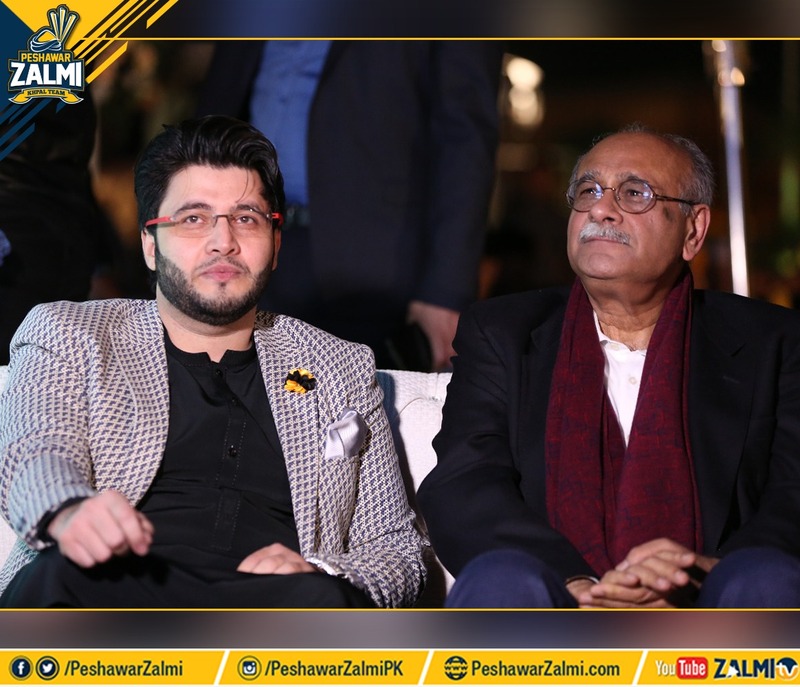 Najam Sethi declared Zalmi Chairman Javed Afridi as the most dynamic PSL Franchise owner and praised his efforts in the revival of International Cricket in Pakistan. Peshawar Zalmi President Zaheer Abbas, Head coach Muhammad Akram and Former PCB Chairman Shehryar Khan were also notable speakers. 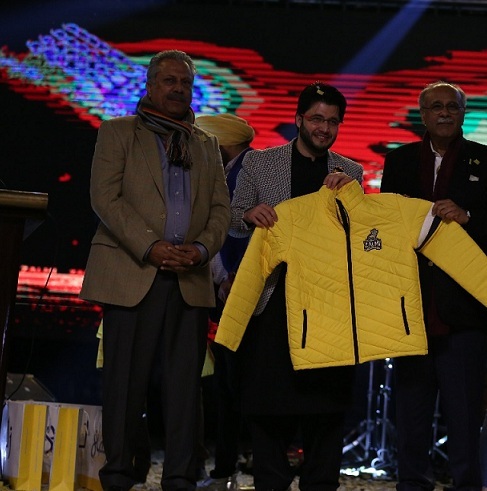 At the end of this glittering event, famous Rock Band "Call" unveiled Zalmi’s Anthem "Hum Zalmi" and enthrall the audience with their performance.